Human Evolutionaries are set aside, as only the Higher Vibrationals are allowed to evolve. 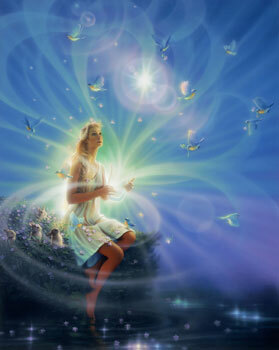 Gaia promotes from the Higher Vibrationals within. Cantations of Light are heard. In general, this update appears to refer directly to the progress of evolution said to be taking place on Earth at present. This upgrade is believed to be occurring on the emotional, mental, energetic, and consciousness levels as well as within all DNA on the planet. This gradual expansion of our human potential is believed to have multiple effects—some of which have been difficult to endure, according to reports. However, these changes are predicted to be extremely beneficial for all of humanity in the long run. The above update from Gaia Portal appears to be a bit more coded than previous messages—giving rise to numerous possibilities of connotation and significance. Let's see if we can better define these terms. We'll start with the word cantation. When we think of what a song is, the intent behind this word becomes more clear. Singing is, in essence, the action of an individual or group harmonizing notes and sometimes words to create a pleasurable experience for all who listen. More simply though, to sing is to create intentional tones by the mouth and vocal cords. In the case of the update, it is stated that light itself is singing and that this light is somehow audible or sensible in some way. Perhaps this reference to song is suggesting that the individuals who are trending toward the light are finding it more easy to create harmony in their lives. It may also mean that these individuals are becoming more and more creative as time goes on. We may be familiar with the concepts of positive and negative polarity in that positive polarity is by nature, creative while negative polarity is destructive. This will typically reflect in the physical and social life of an individual. If an individual is positive, they will trend toward progressive means of creativity in a variety of ways while those who are negative only have a tendency to remake what others have already done. On the negative polarity, creativity is not typically achieved without harming others in some way. With regard to the other words included in the update, the context of each of these terms may give us better clarity of definition. When the update discusses the subject of human evolutionaries and higher vibrationals, the reference is not entirely clear. However, we may explore the possibilities. These terms appear to be used in reference to a societal demographic of some kind—perhaps one which is less evolved than the higher vibrational demographic. Perhaps the human evolutionaries are those who have progressed on their path of consciousness, but have not yet reached the minimum requirement for progress to higher levels of consciousness. The term could also refer to those who have not attempted to progress to higher levels of consciousness. Perhaps these are the people who are just as evolved now as they were when they first incarnated into this particular dimension/density. These may be the individuals who are completely content remaining at their present state of evolution and who see little need to progress at this point in time. If so, that is their right to choose as free souls. The term human evolutionaries could simply be referring to everyone on Earth who is in a human body and evolving at present. The update appears to differentiate between these evolutionaries and those who are aspiring to transcend their human limitations. 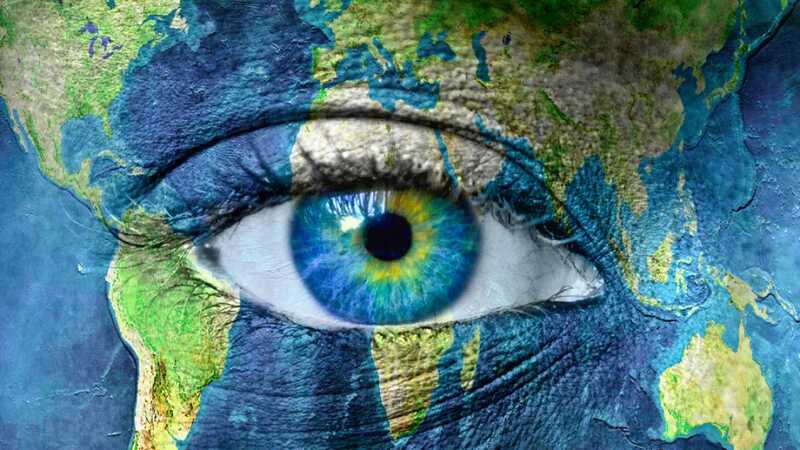 These higher vibratory people may be those who see the world differently than typical society does. They may be those who view all things as sacred in some way—exercising gratitude, generosity, and practicing meditation whenever possible. These individuals might also be of the type to consider a wider range of possibilities than those of average society. When it comes to matters of societal change, planetary, and human potential, these individuals might have greater expectations for the improvement of the planet. They may not see limitation within the potential of humanity where others may, but aspire to assist humanity in reaching greater heights. Overall, there are numerous ways in which a person can live a high-vibratory life—ranging from diet to psychological and emotional discipline, and overall awareness of self. According to the update, it appears that only a certain vibratory frequency will be progressing to the next level of evolution this time around. However, at the same time, the Earth may be encouraging the higher frequencies in order to assist everyone to reach greater levels of development. If this is true, the purpose of this assistance may be to help increase the number of higher vibratory people on the planet in order to accelerate the process of ascension. As things appear, according to the multiple sources who discuss ascension, we as a planet have every opportunity to raise our vibratory frequencies. However, some still choose not to. Perhaps those who do not progress this time around will receive another opportunity at a later point in universal development. There are a number of sources online professing their own insight into the progress of the development of the planet at this point in time. Some claim that ascension will occur for everyone on the planet while others say that only a certain number will ascend while the rest are given further opportunities to progress. According to other sources, there has never been a time of ascension quite like this one. Consequently, it's anyone's guess as to what will happen next.